Area rugs - Stylish area rugs add sophistication to any home but just like regular carpets, your area rug can absorb a lot of punishment-constant foot traffic, dirt, spills, soil and other materials. If your rugs require professional cleaning, you can place your trust in the rug cleaning experts at Los Angeles Carpet Cleaning .us. Using high performance equipment and advanced techniques, our rug cleaning technicians will deep-clean and protect your area rugs. Your area rug will look more beautiful than it has in years. First we send your rugs through a dusting machine-much more effective in removing soil than regular vacuuming. Then, rugs are soaked, washed and hung to dry in a controlled air environment. Pre-Cleaning of sites of heavy traffic and soiling. Note: discoloration caused by wear, fading, or chemical reaction is not reversible. Drying - Rugs are dried in a climate-regulated drying room takes less than one day. Final Inspection. We will conduct a thorough inspection of your rug. 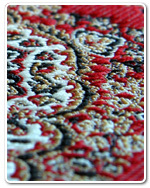 If needed, we will repeat any of the above steps until your rug is as clean and beautiful looking as possible. Contact us and get a free estimate. We guarantee to please! Oriental rugs are true works of art-treasures of delicate beauty. They often appreciate in value, as is the case for some meticulously handcrafted pieces. We fully appreciate the priceless nature your oriental rugs. Los Angeles Carpet Cleaning .us possesses vast experience in oriental rug cleaning, including: Persian, Pakistan, Afghani, Chinese, Indian, antique and handmade oriental rugs. We provide the most professional carpet and rug cleaning service in the industry. Know that your beautiful oriental rug can be cherished for generations to come. FREE pick-up and delivery available. Los Angeles Carpet Cleaning .us - the carpet rug cleaning specialists. Call us now at 213-596-9756 for a free estimate.